Welcome to the dental office of Dr. Gregg Chan! Our commitment is to provide you with the highest quality dental care with your comfort in mind. Your time and concerns are valuable and they will be addressed accordingly. We strive to meet and exceed your expectations. Our office is conveniently located in the Skypark complex in Torrance, California. The entire team takes pride in their practice throughout all phases of your dental treatment. Dr. Gregg Takashi Chan graduated from the University of Southern California School of Dentistry. He is a recipient of the USC John Ingle Award for outstanding achievement in research along with the Dental Foundation of California’s scholarship for accomplishments in academic and clinical performance. 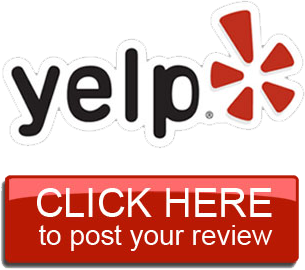 "The staff and Dr. Chan were very professional and competent. The results are excellent and the cap looks fantastic." "My visit was friendly and informative. Dr. Chan and his staff made me feel very comfortable. Thank you." "Everyone at Dr. Chan's office is friendly, professional, and great at what they do. I highly recommend Dr. Chan." "Recent dental appointment was a pleasant experience as usual. All the workers at the dental office were very nice, professional and genuinely put forth the effort to provide quality workmanship and the very best treatment plan for me." Error: Error validating access token: Session has expired on Saturday, 02-Mar-19 22:49:06 PST. The current time is Sunday, 21-Apr-19 09:40:15 PDT.